I am looking for any help to identify the mother of Hans Henrik Thaulow. I am descended from Hans Henrik, through his daughter Alette who married Poul Arctander and then their daughter Anne Elisabeth Arctander who married Jacob Preus. There seems to be a lot of confusion, for reasons unknown and that surprise me given the prominence of the family, as to who the mother is of Hans Henrik. You will see for example that one researcher suggests that Hans Henrik was the son of a second wife of Henrik Bertilsen Thaulow (1655-1717) named Maren Hammer. Unfortunately, there are no marriage dates that I have seen for Henrik Bertilsen and no date of death for his first wife Anne Lund. "Hans Henrik Arnold Thaulow, (sønn av Henrik Bertilsen Thaulow og Anna Christine Wibe Lund) f. 01.10.1692 i Moss, Østfold,1 yrke fogd i Moss, generalveimester, Justitsraad, Generalveimester i det sønnefjeldske Norge [fogd i Moss, Onsøy og Tune. ], bosted 1722 i Drammen, Buskerud, d. 16.01.1757 i Moss, Østfold.1 Han giftet seg med Anne Cathrine Tyrholm, 21.01.1722 i Drammen, Buskerud,1 (datter av Niels Iversen Tyrholm og Anne Madsdatter Wiel), f. 30.06.1704 i Bragernes, Drammen, Buskerud, bosted 1722 - 1790 i Moss, Østfold, d. 01.06.1790 i Moss, Østfold, antall barn (fam) 10." Even if the mother of Hans Henriksen is Anne Lund, there is some uncertainty about which Anne Lund - the daughter of Raphael Matsen Lund or of his brother Michael Matsen Wibe Lund. One tends to suspect that either Anne Raphaelsdatter Lund of Maren Hammer is the mother since the first known daughter of Henrik Bertilsen and sister of Hans Henrik is named Gidske, which happens to be the name of the mother of each of those two women, whereas the mother of Anne Wibe Lund is Margrethe. But then perhaps the name of their child was picked from some relative. Thinking along these same lines, I wonder where the name Arnold came from, which became so well used in the Thaulow family. Here is a good history of the Wibe family showing both brothers Raphael Lund and Michael Lund. 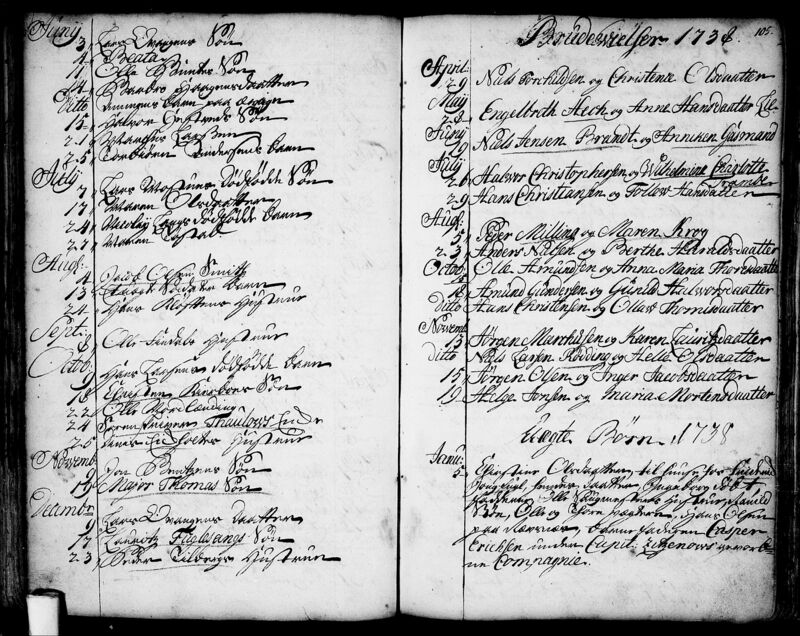 It shows an Anne Raphaelsdatter Lund getting married Sept 15, 1680 in Skogn Jens Olssøn (1643-1698) which would seem to rule her out as a wife and mother for our family. You can see why I am confused, but perhaps someone can clarify. I look forward to hearing from you. Hans Henrik Thaulow b.10.01.1754, dead 29.09.1823. His second wife was Marie Magdalene Elisabeth Wilde, b.1778, married 1795, dead 26.04.1811. Hans Henrik Th, son of cancelliråd and lagmann in Moss, Anders Hansson and Anna Thaulow. Anna was daugther of Justiceråd and Gereralveimester Hans Henrik Thaulow dead 1757 and Anna Katrine Thyrholmen dead 1790. Anna Katrine was daugther of kjøpmann in (Brynæs? )Bragernes Nils Iversen Thyrholm (1664-1738) and his second wife Anna Dorthea Wiell. Maybe someone can help with translation. Thank you for your post which I failed to note and reply to earlier. I needed to be clearer in my original post since these names are so often recycled, but I am looking for the mother of Hans Henrik Thaulow (1692-1757) not the late one you have referred to whom I think is the grandson. I apologize for failing to be clear. Here is a link to a description of the gentleman. I have now located the death of the widow of Henrik Bertelsen Thaulow in October, 1738 (or so I believe), but her name is not given, so no luck there. However, using that date of death I looked in the Tingbok and found the following reference to an Anne Hansdatter Lund and Hernick Arnoldus Thaulow from November 1738, so I think this may be some kind of indication of the name of his deceased mother (or stepmother). Here is a link to the family book about the Thaulow family , think you will find this interesting . Thank you for your suggestion. I'm afraid that I had already seen this source and as you see the only information it provides is the name "Anne Lunde" (with the extra "e" at the end and no patrynomic) so it does not help much. Also it does not provide any sources. Are you by any chance better able than I to tell what is written in the tingbok? Is Anne Hansdatter Lund referred to as the mother of Henrick Arnoldus? If she were a step-mother would you expect that fact to be made clear in this type of record? What is this record really about anyway - is it about the death of Anne Hansdatter Lund? Hi Tybring , i am sorry but i can't help you with the tingbok . I am not able to read that kind of " old stuff " hopefully there might be some experts in the forum that can read and translate it for you . Mandagen den 1ste December er Byetings Retten betient, i Overværelse af det ordinaire laugrett. Da Bleff lydelig publiceret Byefogden Henrich Arnoldus Thaulows affkald til Hans Broder Cancellie Raad Thaulow For Hans Mødrene Arff effter Hans Moder Anna Hansdatter Lund paa 403 rd. 8 2/5 s. effter detz Videre formeld dat. 19 November 1738. I am not able to translate this old text correctly, but I read the meaning like this: Henrich Arnoldus Thaulow announce that he would not claim his inheritance worth 403 riksdaler 8 2/5 skilling from his mother Anna Hansdatter Lund to advantage of his brother kanselliråd Thaulow. Details are found in a (not specified) document from 19th November 1738. Nothing is mentioned about the reason for this announcement, but the most common reason for declarations like this, is that a person has got a large gift from their parents when they were still alive, but there may be other reasons. Hello Knut and thank you so much for the help. Kanselliråd Thaulow is my ancestor Hans Henrik Thaulow. I believe that Henrich Arnoldus was a younger brother to Hans Henrich. Therefore, although Anne Hansdatter Lund appears almost certain to be the mother of Henrich Arnoldus (unless , I suppose, he refers to his step mother as his mother - though this seems unlikely from what I have seen of old documents which seem to be fairly precise about family relationships). But there is room for there to have been a different mother for Hans Henrick who is supposed to have been born 1695 as compared with Henrich Arnoldus who was born 1705. But it is interesting that the name in the Tingbok "Anne Hansdatter Lund" seems to be a blend of the two names often given for the wife or wives of Henrick Bertilsen Thaulow, which were "Anne Lund" and "Maren Hansdatter Hammer". It is difficult, though to imagine that there would be an error in this important an contemporaneous document, and so I think thatthe secondary sources are likely wrong. But who then is this Anne Hansdatter Lund and who was her father? I have found a further reference to Sorenskriver Thaulow, this time in a skifte for Gidsken Arentsdatter of Trondheim in 1720. I cannot make out all of the words in this skifte and wonder if someone more experiences and comfortable in Norwegian may be able to succeed where I have failed. Here is a link to the skifte and the transcription that (with the help of another) I have been able to make so far. The passage in question begins on the bottom of the right page and continues on the left top of the next page. … For at forrette Skifftehold efter Salig Gidschen Hans Larsens, som for et par aar siden skall være død, hvis b… (børn?) var efterschrefne dend salig qvindes Døttre og …. Børn, Nemlig Velædle Hr. Commerce Raad Froms Frue Kieriste …, Jens Mogensens Kieriste, Salig Sorenskriver Tavlos Enche syndenfields, og Sal. Holger Bierckes børn med hans første Salig Kieriste afgangne Elisabeth Hans Datter og Sr. Willum Henrichsens afdøde Kieriste Margrete Hans Datters effterladte Børn, de 2de Velagte Borgere Messieurs Lars Ottesen og Johan Christophers Ervalt (?). Ved andkomsten i gaarden fulde Monsr. Thams os i det Cammer …. 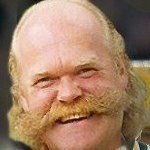 Hoes Sr. Willum Henrichsens gaard, hvor hand sagde dend Salig Qvindes Eiendeler . . . bestaaende. Derefter foretog os till Registrering og Vurdering ligesom det os forekom Nemlig: . . . Does the Skifte contain any reference to a daughter of Gidsken and her dead husband Hans named Maren? 1654-1717, Auktionsdirektør og Sorenskriver. S. 39. He was born in Ringkøbing c. 1654, became a student and then went to Norway as a private tutor in Trondheim. On 11 March 1682 (according to Riksarkivet i Kristiania) he was appointed auction director in Stavanger and Akershus diocese, lived in Kristianssund [? I would expect Christianssand on the south coast], but moved to Moss, when he also on 2 May 1685 became a sorenskriver [local judge]. He made a lot of money, which he according to legend stacked on a table and examined inquisitively every time he had to spend a little of it. In 1713 (Kancelliets Supplikbøger) he was also ordered to administer the auctions in Nedenes Fogderi. About this Sorenskriver Claus Dibbern, who had up until then been in charge of auctions in this district, was very upset, and sent a comprehensive complaint, which was without result. On 23 March 1715 he sold a house in Moss, called Kattesundstomten, and in the sales document he was called “former auction director”. He died in 1717 (Statsarkivet i Kristiania). According to printed sources (F. O. Juell) he was married to Anne Lund (or Lunde) from Trondheim. Her whereabouts have been impossible to trace. 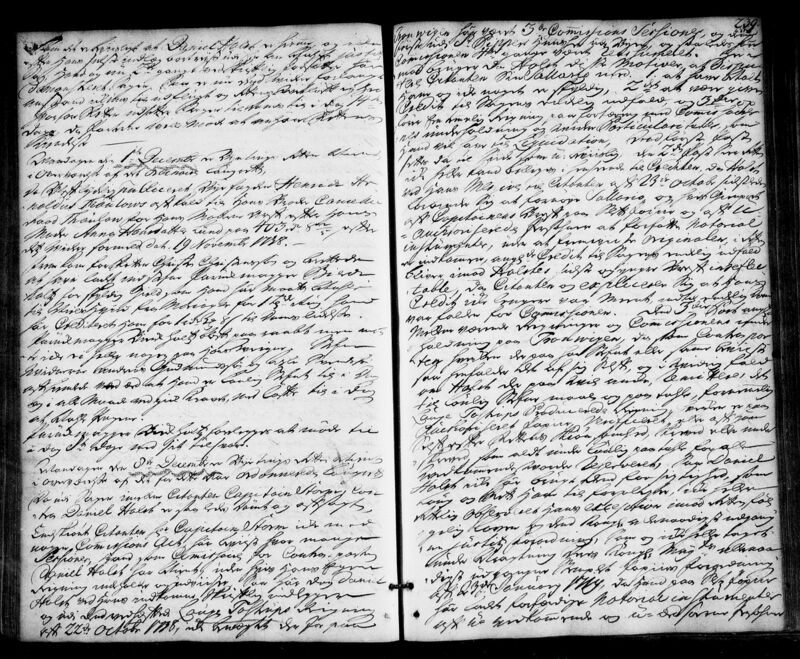 But a skifte (probate court record) found in Trondheim of 24 May 1720 after “the deceased Gidsken, Hans Larsens, widow of veier, måler and customs officer in Trondheim, Hans Lauritsen (or Larsen) Hammer”. In this document is mentioned one of her daughters, Maren Hansdatter (Hammer? ), widow of the deceased sorenskriver Thaulow søndenfjelds [south of the mountains]. Since Maren Hansdatter has survived Henrik BertilsenThaulow, one may well assume that he was married 1) to Anne Lund and 2) to Maren Hansdatter (Hammer? ), daughter of the abovementioned customs officer Hans Lauritsen (or Larsen) and his wife Gidsken Arentsdatter. One must then also assume (records from Moss at that time are missing) that Maren Hansdatte was the mother of all the children, since the firstborn, the daughter Gidsken, probably was named after her maternal grandmother and the son Hans after the maternal grandfather. Maren Hansdatter died in Moss in September 1738 (buried 24 September). Painted portraits of Henrik Thaulow and his wife are kept at the Thaulow Museum in Kristiania. Gidsken Marie Thaulow, b. 1685, married to manager of Moss iron works Niels Thune, son of sogneprest [parson] of Hallen Michel Nielsen Thune and his wife Dorthe Christensdatter Heide. He died after three years of marriage, she in 1771 (buried 13 March in Moss). [Their three daughters are mentioned]. Henrik Arnoldus Thaulow, b. 1702. Byfogd [judge and chief of police] in Arendal. P. 72. As far as I can see, there is no reference to a daughter of Gidsken and her dead husband Hans named Maren in this probate document. The names of the daughters of Gidsken are not mentioned except for the two dead ones, Elisabeth Hansdatter (married to Holger Bierche) and Margrethe Hansdatter (married to Willum Henrichsen). The wife of Henrik Bertilsen Thaulow is just mentioned as "The widow of sorenskriver Thaulow, in Southern Norway". Thank you Knut! So good to hear from you and thanks for confirming what I thought I saw. But what does it say at the start where there is a mention of "Jens Hammer"? Often this possibly fictitious Maren Hansdatter is given the last name Hammer, and I wonder if it comes from someone before looking carelessly at the skifte. Does it say what role Jens Hammer plays in relation to the skifte and how he is related to Hans Larsen or his wife Gidsken?